Middle Eastern Promise - Nothing to Hide? With what can often feel like so much negativity in the western media around the Middle East, it has been a real pleasure to firsthand experience and report on some incredibly positive experiences we are seeing in this region. Having just returned from speaking at conferences in both Turkey and a central Arabic gathering in the Egyptian Red Sea – the latter where over 250 clients and agency representatives gathered in an auditorium from 14 countries across GCC/Middle East from Pakistan to Maghreb – what has struck me most of all is their general openness and willingness which only equals their hospitality. Whether positivity in this region is induced by the glorious surroundings and often lavish entertainment – and judging by weather here in London at the moment, the sunshine sure does make for a more pleasant working day – it would seem obvious from various meetings and discussions there is a genuine hunger for innovation across the Middle East. Perhaps being stifled for so long by infrastructure limitations from a bandwidth perspective, complemented by an often stark distinction between the social classes, with just shy of 10% average of people with dedicated Internet access. So it is good to see their respective governments facilitating public areas and cafes for internet usage, often with a dedicated and free support person on hand to assist with anything from basic internet usage to filling in governmental forms online. Coupled with the speed of uptake for online banking, seeing the population shift to be able to get information and governmental help at the touch of the button will no doubt revolutionise many people’s lives in this area. It is certainly working in India and Pakistan where 30-40% population are now accessing online content. Infrastructure will also make a hugely positive step as many cities are considering opening up wireless as key infrastructure change no doubt to take advantage of the many low-cost basic laptops now hitting the markets. But what about the users themselves? 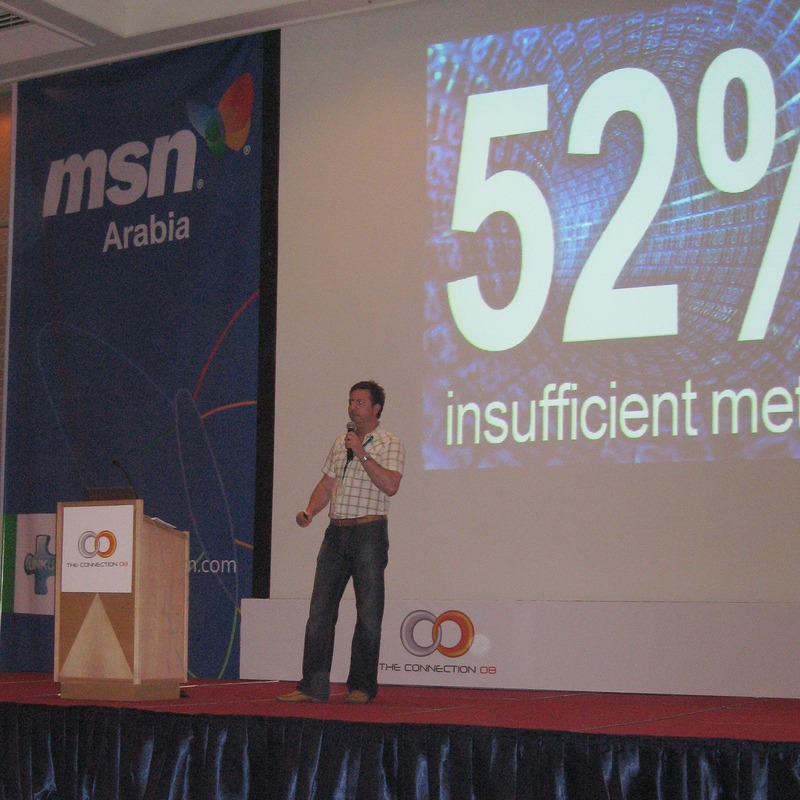 In Turkey alone the term messenger is synonymous with the Internet itself, with 99% of all Internet users communicating via Windows Live messenger – often with video sharing applications, which quite frankly leaves the west behind in terms of advancement of communication interplay, and this is a trend being seen right through the region when you bring Hotmail into the mix. That is to say nothing of the growth and adoption of social media sites like Facebook in this area, which is being adopted at different speeds in the markets across the region. National press are often main jump points to receive online news and content, to couple key portal entry points like those offered by MSN. 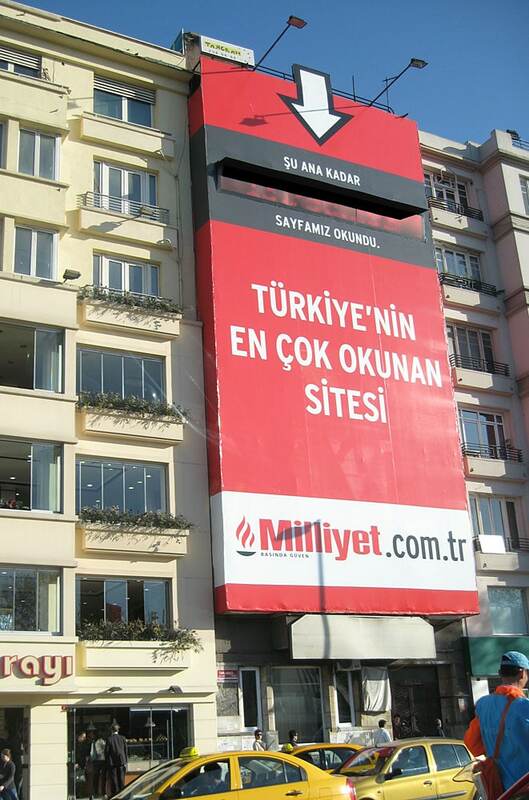 In fact in Turkey the pride of the press runs so high, the Milliyet group in Turkey have a huge billboard outside their offices displaying the real time number of hits to their homepage, watching the counter turn from around 15MM to 0 as it resets at the stroke of midnight has got to be on the sight-seeing agenda for any tourist to Istanbul. Certainly seemed to me to be a perfect example of cross-channel convergence, and aids confidence that the Internet really can draw an offline crowd. In places like Dubai, television and outdoor are still major factors of any marketing mix with the effects of online advertising still not reaching the CEOs and CFOs, preferring to see their advertising expenditure in places they themselves are exposed to, which reminds me of where the west was only a few years ago before the marketers managed to pitch assurance and ROI to director level. It is just a matter of time, and I hazard a guess will happen much quicker than in the west judging by user’s hunger to get involved with the online space. Though with huge budgets at their disposal and a real desire to be innovative and world leading – just consider their architectural achievements – in demonstrating the creative possibilities to eager audiences alongside David Pugh-Jones, MSN’s Creative Strategist, feedback from clients and agencies alike was very commendable. Obviously revealing a tangible reality for possibilities they can adopt right now – they are used more to region stats as way of encouragement as opposed to innovative thoughts and practical ideas. With the backing of an incredible sales house such as LinkdotNet/ConnectAds, hopefully by now helping inspire confidence, I fully expect to see some very grand and illustrious creative examples coming from this region very, very soon. Personally I think this is a very interesting and exciting marketplace – they are ripe for interactive and have obvious budgets to invest. Digital is obviously currently perceived as not impactful, despite users showing they are highly interactive. Talking with financial clients seeing an alarming rate of adoption of online banking certainly backs this up. I believe agencies in the region can assist clients circumvent the filtration of advertising seen in the west, not having been saturated with the likes of pop-up ads. They are jumping in at the point of quality executions without the hard learning curve we have worked through. Last year I was involved with a hugely successful and innovative Sony Ericsson campaign for launching the k500i across the CEEMEA markets (that is excluding the large western countries); utilising photo uploads, dynamic data feeds and behavioural sequencing to personalise subsequent creative’s across the online channels. The idea was to extend reach of online beyond the browser to retarget users using desktop applications. Not only is this campaign at the forefront of what can be achieved online, but the results revealed it was the Middle Eastern regions who were the most active interactors as well as those most likely to recommend the campaign to their friends, as proved by the number of message forward from within the banner themselves. A third of the registered users who were re-targeted went on to tell their friends, setting a new benchmark for advertising effectiveness. The communication environments of both Messenger and Hotmail coupled with the right type of creative will see not only data capture but also a viral affect – I will be keen to see the affect of widget ads in this region!